Superdry men's Vintage Logo camo zip hoodie. This easy to wear zip hoodie features a drawstring adjustable hood, two front pockets and panel detailing with a camo design. 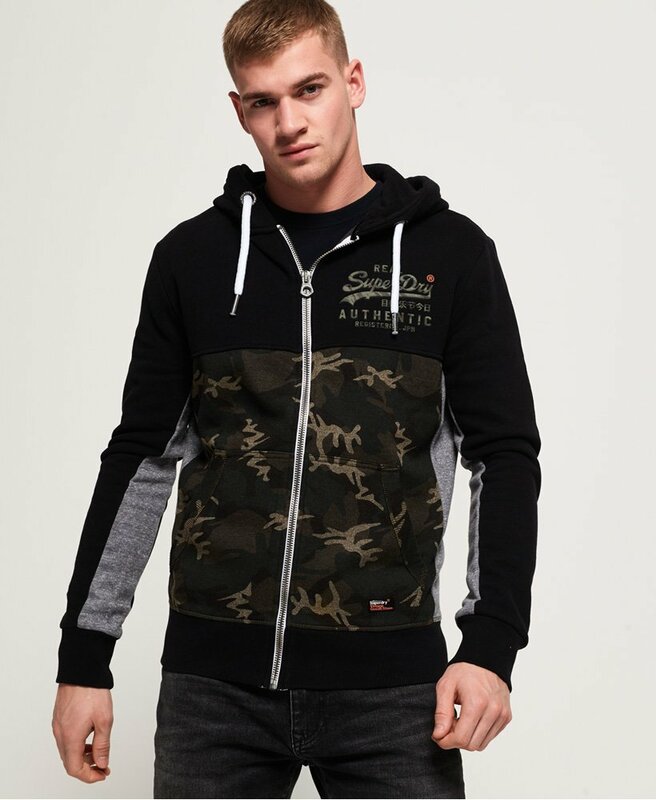 The Vintage Logo camo zip hoodie is completed with a textured Superdry logo graphic on the chest and small logo badge on one pocket. Layer over a plain crew neck t-shirt and jeans for a look that's relaxed yet stylish.